Every school in the country should gather their pupils and make them listen to the dreadfully sad interviews Hilary Murphy gave about his daughter Katie to Sean O’Rourke on RTE and Kieran Cuddihy on Newstalk last week. On October 5, 2016, Hilary and his wife Vivienne were going out for a walk. They asked Katie if she wanted to come. Katie was, in Hilary’s words “the most wonderful daughter that anyone could ask for”. At this time Katie was, according to her dad, at “the most fantastic stage of her life”, and she and he “had a very special relationship developing”. The two of them had just got to a stage where they were starting to go out for lunch together, just the two of them, “and then, suddenly, she was gone”. There can’t be a father in the country who didn’t feel Hilary’s pain in that little detail. There’s something magical between girls and their dads, and can’t you just imagine the two of them off out for lunch, Katie taking her first tentative steps to becoming a grown-up, mindful of making time for and looking after her old dad. Katie’s younger brother Scott was quieter, but Katie was dedicated to bringing him out of his shell. If she saw him lying on his bed playing video games, her dad said, she would go in and jump on him and try and make him laugh and try to get him out. She was a social outlet for him too, involving him with her friends. Her dad said Katie counselled a lot of her friends through depression and other difficulties, too. That night, having initially said she would go for the walk with her mum and dad, Katie then changed her mind, saying she had some homework to finish. 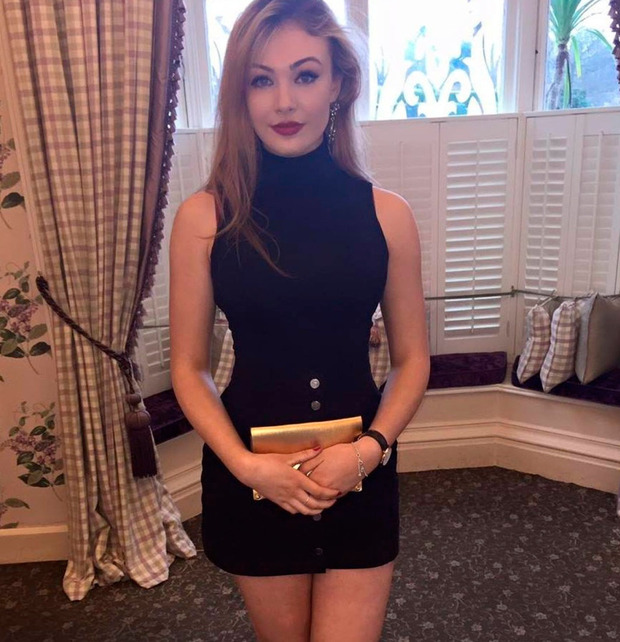 But while Hilary and Vivienne were out, Edward O’Shea called to the house with one of Katie’s friends and they asked her if she wanted to go to Tramore. O’Shea was 17 and did not have a driving licence, yet he was driving a powerful modified Japanese car that was capable of doing 150 miles an hour. It was on the insurance of the O’Shea garage, his family’s business. Judge Eugene O’Kelly said in court last week that it was extraordinarily and blatantly irresponsible of the O’Shea garage to facilitate Edward O’Shea’s driving. The next Hilary would hear about his daughter was a phone call to tell him Katie had been in an accident and he should come quickly. He says he panicked a bit obviously, but he fully expected to get there and see Katie sitting at the scene, nursing maybe a broken arm or a few bruises. He rang home and his wife Vivienne took off for the scene of the accident too, as did Katie’s brother Leon. They all arrived at the same time. Katie was not sitting there, nursing a broken arm. The scene that greeted them was Katie being extracted through the back window of the car, which had blown out with the impact. She was, her dad says, “on a board”. Hilary went over and had a look at Katie on the board and he says he pretty much knew his daughter was dead at that stage. Can you stop and imagine that for a second? Just put yourself in that picture, looking down at your daughter being taken out of a car, and realising she is dead. When the door of the ambulance that Katie was in flew open and Hilary saw them attempting to revive his daughter, he “pretty much knew she was gone”. There was a Snapchat video sent from the car that Edward O’Shea was driving at speed along that cliff road outside Tramore that night. Apparently, Katie says on it that they are going over the speed limit, and then another voice says that they are actually going at double the speed limit and laughs. That road, which is winding and dangerous, has a speed limit of 50kph. Since the accident, more lighting and speed ramps have been installed. But as Hilary says, that’s no good to the Murphy family. People living on the road, Hilary says, had heard the car roaring along, and a couple of people had run out in fear, thinking there was going to be an accident. In the Snapchat video, Katie’s friend says that they are going to be killed in the car, and someone in the front then says, “Yeah, we probably are”. The two other passengers, Jessica Lynch and Joseph Walsh, lived, but both suffered life-changing injuries. Hilary told Sean O’Rourke he can still remember Jessica’s screams of pain that night. He says Jessica, who “has had many operations to try and get herself back together”, and Joseph, who suffered a severe brain injury, will never be the same again. Edward O’Shea ruined many lives that night, including his own. He now faces 14 months in prison, and he is apparently suffering from survivor’s guilt, anxiety, depression and PTSD. “As we all do,” Hilary said to Sean O’Rourke. Hilary and Vivienne and Katie’s brothers will never be the same again either. Hilary says he and Vivienne’s lives are unrecognisable now. They were formerly very outgoing people, but not any more. They don’t even go to family weddings because it would just be too much, “and it brings back the fact that Katie should have been here. She would have been looking forward to getting married, having kids.” Hilary says he and Vivienne rely on medication now to get them to sleep and to get them through the day. And the first thing that hits them every time they wake up is remembering again that Katie is gone. “We just don’t have a life anymore,” Hilary said to Kieran Cuddihy. You would hope that Hilary and Vivienne and the family could get on with some semblance of a life now that the court case, which brought them back to square one and made it feel as if it all happened yesterday, is over. 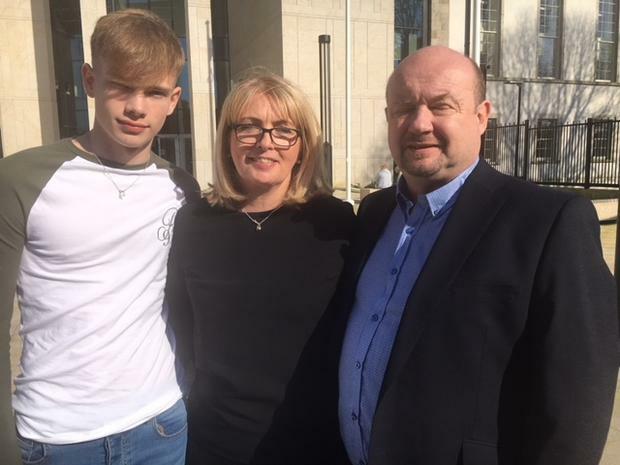 Hilary feels that having to wait two and a half years to see justice done hasn’t helped, but he is glad Edward O’Shea got a custodial sentence. In the meantime, he has a very simple message. If you are in a car and someone is driving dangerously, ask them to stop, get out and ring your parents and ask them to come and collect you. They might be mildly put out at the time, but they will be glad to do it. As Hilary says, it’s better than you arriving home in a hearse.